Now in its seventh day, the partial government shutdown is tightening its grip on federal agencies. Set to run out of carryover funds tonight, EPA will soon close and send thousands of employees home without pay. The Interior Department has pledged to keep national parks open but has struggled with mounting trash and locked bathrooms as they have been left unstaffed (see related story). And today, Smithsonian officials announced that all of its museums and the National Zoo will be shuttered on Jan. 2 unless a deal is reached. Some others, like the Department of Energy, continue to chug along as their funding has already been approved by Congress. 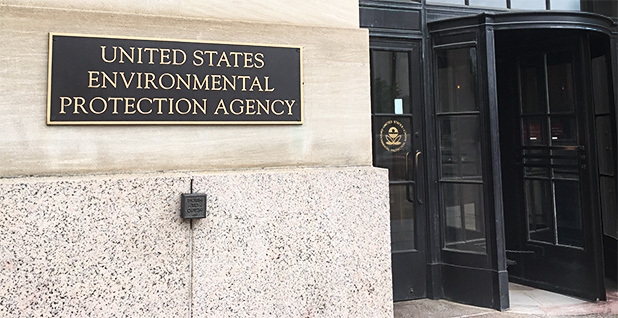 At agencies like EPA, federal workers are bracing for the outcome of a funding fight — centered around President Trump's demand for funding construction of a border wall — that will likely be decided by the 116th Congress when it convenes next week (see related story). Acting EPA Administrator Andrew Wheeler said in an internal email obtained by E&E News that the agency "will initiate orderly shutdown procedures" if new appropriations were not passed by lawmakers by midnight. "Should a shutdown occur, employees will be placed on furlough," Wheeler told staff in the email sent yesterday. Employees will receive shutdown instructions over email, including how to access their furlough notice, setting up away messages on their voicemail and email, as well as completing their time card. Travel will also be canceled for furloughed employees. Staff may shut down their work stations remotely, while those required to work during the shutdown will be notified separately, Wheeler said. "Thank you for your dedication to EPA and the American people. Have a safe and happy New Year," the acting EPA chief said. While other federal agencies have been closed this week, EPA has stayed open, using leftover funds to keep operations humming. But with that money set to run out, many staff will not be able to work, and no one will get paid with the agency shut down. Under EPA's shutdown plan, 13,705 employees are deemed "exempted," which is they can continue to work using carryover funds. They will likely now be furloughed and have to sit at home without pay. Also under the plan, 753 EPA employees are "excepted," meaning they are needed to protect life and property. They will have to come to work during a shutdown but also will not get paid. Unlike the rest of the agency, the EPA Office of Inspector General has already been closed this week. The internal watchdog is funded by a separate appropriation and had to shut down, furloughing 249 employees, an IG spokeswoman said (Greenwire, Dec. 26). EPA has also set up a website with more information for employees, including answers about unemployment insurance and health care benefits. EPA's largest employee union, representing 9,000 workers at the agency, is pushing back on Trump's assertion that many federal employees support the shutdown as long as funding to build a southern border wall is secured. "Federal workers are ready, willing and able to perform the jobs they were hired for, which the American taxpayers expect," said Gary Morton, president of the American Federation of Government Employees Council 238 and a spokesman for the "Save the US EPA" campaign, said in a statement. "AFGE calls for an immediate end to the shutdown and for Congress and the President to fund the federal government!" The government is offering some advice to furloughed federal workers facing losses during the shutdown. Not all of that advice is receiving a warm reception. The Office of Personnel Management today provided sample letters for workers to use when working with creditors. "Feds, here are sample letters you may use as a guide when working with your creditors during this furlough. If you need legal advice please consult with your personal attorney," OPM tweeted. One of the letters included a suggestion workers offer maintenance services to landlords if they cannot afford to pay rent. The letter says, "I will keep in touch with you to keep you informed about my income status and I would like to discuss with you the possibility of trading my services to perform maintenance (e.g. painting, carpentry work) in exchange for partial rent payments." Union leaders representing EPA and Interior staff are warning an extended closure could have a devastating outcome for government workers. Tony Reardon, the national president of the National Treasury Employees Union, asked the Office of Management and Budget and OPM in a letter this week to use "all possible authorities" to support and bolster the federal workforce during such a "disruptive and financially insecure time." That includes speeding up delivery of back pay, providing documents to negotiate with creditors and preserving the leave they have rightfully earned, Reardon wrote. "There is no greater fear than the unknown and with comments from senior government officials and leaders indicating that the shutdown may continue for some time, many federal employees are gravely concerned about their finances now that they are either furloughed with no pay or on the job unable to rely on their next scheduled paycheck," he wrote. Reardon said he's hearing from federal workers worried about missed mortgage and rent payments, and those saddled with credit card payments for official government purchases for equipment, goods and services. Under agency procedures, such purchases are billed directly to individuals and must continue to be paid on time, he wrote. Reardon noted that during previous shutdowns — in 1995 and 2013 — agencies provided employees with letters they can give to financial institutions and creditors officially confirming the shutdown and its effect on their pay. He asked for similar treatment now and called on the Trump administration to formally instruct agency heads to uniformly restore any "use or lose" leave so that employees can carry it into the next calendar year. AFGE's president, J. David Cox, has warned in recent days that an extended shutdown will begin to manifest in visible ways across the country, from canceled environmental enforcement and worker safety inspections to shuttered national parks and lost revenue. "Every day that this shutdown continues, more Americans will begin to feel the effects as federal offices close their doors to the public, the government stops paying its bills and hundreds of thousands of government workers no longer get paid," Cox said.